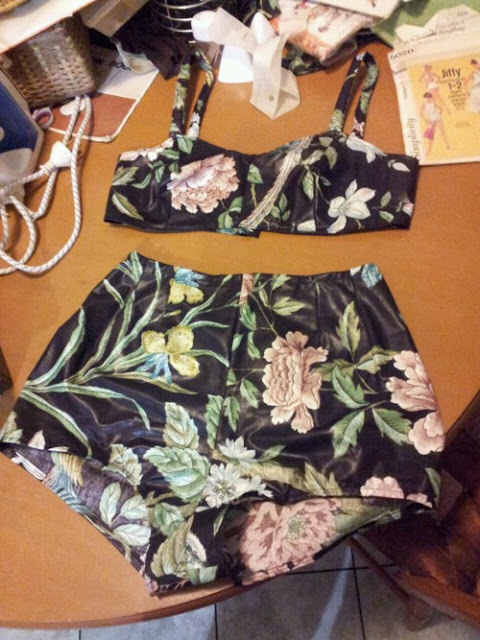 I found a great little pattern in an op-shop and made a lovely little high-waisted swimsuit/playsuit in which I intend to make many more for myself! My lovely little vintage sewing box (top) and the one on the bottom is just a little box I picked up is to keep sewing patterns in! This is a 1965 vintage pattern I was lucky enough to find and I have made it my practice pattern to work on skills before I improve enough to make other things. I have made the swimsuit/playsuit (as mentioned above) because it's just so adorable and it was exactly what I wanted! I made this a few months ago. My mum helped me make it and guided me through it all, I'm so lucky to have her and her sewing skills! It has a little zip on the back too. I picked up this lovely fabric at an op-shop and had it sitting in my room for about a year so it was a great excuse to use it! 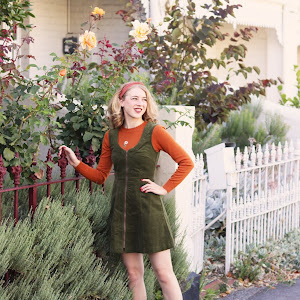 It is a total op-shop creation as that is where I found the pattern too! I would wear this under dresses and even to the beach! I might try making it with proper swimming material one day... and I might extend the length of the shorts one time too. I had some scrap material left over from a dress my mum made me, so I made a little top from the pattern, however, I changed it to a halterneck style top. I love this dress so much! My mum is very clever, I'm really love learning how to sew and I'll be sure to blog about other things I make in the future. I'm quite busy at the moment with university so I will probably have to wait until the end of the semester for bigger projects. Fabulous! I'm trying to learn to sew too! 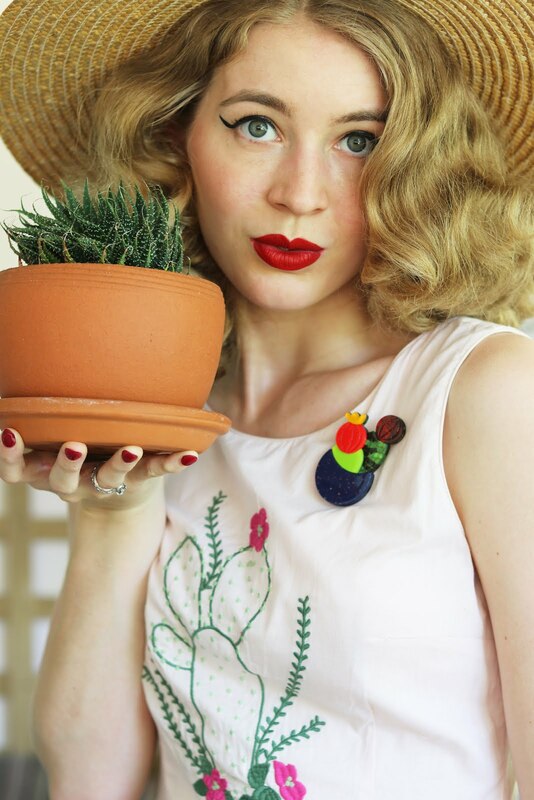 You're lucky to have found a good pattern at an op-shop! There are heaps on Etsy, but are often a little pricey, seeing as fabric can be quite expensive too! Good luck on your sewing journey!! This is so cool! I love seeing sewing projects. You look great.